The food is great at Tas, I like to go there when I feel like something different from my usual Chinese of Indian and it really hits the spot. The staff are friendly too, i would reccomend it. We'd been to Bloomsbury TAS several times before when visiting London from our Midlands home. Last Sunday we arrived in town, boo0ked into our nearby hotel and headed for TAS. 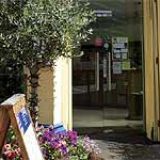 We chose from the extensive menu and although the restaurant was very busy the service was exwellent and food quality commendable.So pleased were we that we booked a table for Monday and were welcomed by the friendly staff as if we were long term regulars. 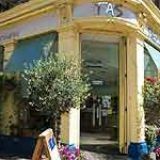 Tuesday evening saw us back at 'our' table and another excellent meal before we headed for EUSTON and a crowded train home.... one of us had to stand.Would we recommend TAS? - We have already. Thanks guys, you helped make our visit. Too many staff, not enough service. About 4 waitresses served us throughout the sitting however each one had to be heckled over and the request usually took about 5-10 minutes to be actioned. Service was a bit short and rude also. I had to ask three times for bread which was supposed to come with the meal. foos was okay, had better meze and the fried calamari/mussels were not seasoned. Dissapointing. Starter = excellent Main course = fairly good Dessert = disaster Dessert: 3 scoops of ice cream with no sauce, cookie or decoration whatsoever. Worst ice cream of the year. The atmosphere was not better than McDonalds. A huge space with no possibility of understanding your partner unless you scream. Private conversations are simply impossible. The waiters were friendly but it shouldn't take 10 minutes and a reminder to bring a glass of Bailey's or a coke. 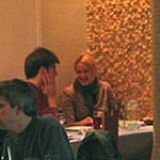 This Turkish restaurant is just like a small oasis in the heart of Bloomsbury, a great place to enjoy good food in leafy surroundings. Walking down Great Russell Street, this Tas is unmissable; luxuriant foliage adorns the outdoor area and is a promising clue that the food is just as delightful. The decorating style changes altogether indoors and might leave you a bit baffled. High ceilings and wide walls, coloured in pastel tones, make the rooms very airy but also a bit hotel-style. The questionable decor of the indoor area obviously lacks the greenery the outdoor has, so if the weather allows do try to get a table outside - it will be worth it. The place is bustling with tourists and families. Indoors is quite noisy and the seating outside, overlooking right on one of the busiest streets in the area, can be just as loud; still, eating at the small wooden tables among trees and flowers will make you soon forget about the traffic. The service is fast and efficient, even though not as smiley and chatty as chain restaurants now often are. Shortly after getting the menu the waiter brings on complimentary olives, bread and a yoghurt and dill dip. The menu is divided in sections and a good share is dedicated to vegetarian dishes. Prices are very reasonable, especially for this area, e.g £6 for pasta, £10 for casseroles, £12 for a sirloin steak. They also have set menus and a lunchtime offer which will get you two courses for £8.95. Among the starters, the ispanakli spinach is a sour yet smooth mix of chopped spinach in a creamy yoghurt sauce with garlic; the red lentil soup is simple and filling with just a hint of spice. As a main course, the chicken shish comes with couscous and is beautifully presented. The yellow couscous is topped by shredded red cabbage and the chicken, tender and juicy because it’s slow-cooked on a skewer, looks and tastes delicious. The house red is fairly decent, light and spicy. 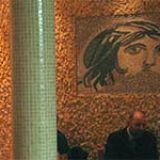 It is a shame that the wine list is not very daring; other than the two Turkish house wines, it mainly draws from familiar Italian and French wines. Wines start at about £13 and there are several options available by the glass. There’s a good selection of liqueurs and, of course, raki on the list. 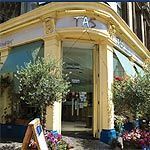 Tas Bloomsbury is very different, in a positive way, from other restaurants in the area and from chain outposts. Dishes are above average for taste and presentation, the price is absolutely convenient, and if you get to dine outside it will truly be a Turkish delight.